Right now I’m at Match Cigar Bar comfortably enthroned in a classic leather chair and adhering to my personal brand with a nice cigar perched in my grill and a bourbon-laced cocktail within reach. It’s the day after Christmas, and I’m not in the reflective mood needed to write a post about past successes. My sights are focused on the opportunities that are only afforded by the upcoming new year. Don’t get me wrong, there’s a time for back patting and self congratulations. This just ain’t it. If anything, 2013 positioned us as a venerable player in the digital marketing arena. It afforded us a steep and skyward trajectory of growth, from our numbers and quality of team members, to clients with more sophisticated needs (and the budgets that accompany them), to an expansion of service offerings required to be the digital agency of choice in multiple markets. 2014 promises to be bigger, bolder and more exciting in the digital space. Nostradamus I am not, but I’ve had my moments of successful predictions (after all it was I alone who called that 2013 was not the year of the dragon, but actually the year of the Sharknado). Here is my take on what to expect in 2014, not just from OOHology, but from any agency worth their salt. You don’t need to be the Oracle at Delphi to call this one. Continuing a trend from the last several years, the growth of mobile device ownership expands. Mobile devices in use are expected to reach 1.4 billion by the beginning of 2014. Combine this fact with increased bandwidth, better data processing on mobile devices and more user-focused interface designs and you’ve got a recipe that will affect all aspects of digital marketing from effective brand immersion to more emotive shopping experiences. We’ve already witnessed big jumps in sales for our retail clients for whom we’ve implemented mobile-oriented and responsive e-commerce solutions. That’s only the tip of the iceberg. The same is true for our service-oriented clients that ‘sell the invisible’ with dramatically increased online conversions when offering an ideal website experience on any device. Regardless of industry or vertical, we’ve seen a tremendous jump in SEO rankings for those who adopted responsive design once Google went on record that their algorithm favors responsive design. Moral of the story: Go responsive or go home. A few years ago at OOHology we were preaching that there were only 2 ways out of commoditization: High-touch service or thought leadership. The latter has been heating up ever since in the form of content marketing. It’s simple: if you are an expert in your field, from CEO to sales, you need to share your expertise via the appropriate distribution channels. These channels include mainly corporate blogs and social media, and come in a variety of flavors: articles, whitepapers, how-tos, infographics and video. The time has come to stop sharing other people’s content and start creating your own. The negative? Good content requires time and energy. But the benefits are plentiful: increased trust in your brand, social proof, increased website traffic, higher conversions, and better SEO. Moral of the story: If you’re an expert, prove it by dropping science. It’s no surprise that people pay attention when it’s all about them. The days of shotgun marketing are over. In 2014 marketers will utilize all those glorious cookies that Google and Facebook have been hoarding and target down to the individual level when and how they want it. Response rates will rise exponentially once consumers are targeted based on their interests and past purchases. The internet won’t be the only channel, expect to see addressable advertising on television in the coming year. Want more on this? Check out our client Simple Relevance. Moral of the story: Consumers respond when it’s personal and catered to them. Google is a big ship, and big ships turn slow. But it’s been constantly turning in the direction of favoring businesses that build resource-rich websites that keep their visitors needs and wants in mind. This makes sense, as Google has never been a directory of the web but a directory of the best of the web, as determined by its algorithm. The past couple of years have seen major improvements in this algorithm (called PageRank) via updates like Penguin, Panda and Hummingbird. These improvements shifted the focus from inbound links and keyword stuffing to social relevancy, dynamic content and semantic, device agnostic builds. In other words, your website strategy cannot be “set-it-and-forget-it” and requires attention and effort, with content development onsite and social media integration off-site. As PageRank becomes more sophisticated and selective in 2014 the focus will continue to be on context, content and relevancy. Moral of the story: Keep your visitors’ needs in mind and meet them where they are. More than 94 percent of marketers claim that social media is integral to their strategies for 2014. The problem with the term social media is that it’s now too broad. The usual suspects, Facebook, Twitter, LinkedIn, YouTube and Google+, are all evolving. These platforms are quickly being joined by fast-growing Instagram, Pinterest and the like. Count on new social media channels emerging in 2014, as well as more sophisticated paid advertising opportunities. Businesses need to get serious about social and include a social media strategy within their overall marketing plan that includes integration with reputation management, SEO and content marketing. Moral of the story: This social media thing ain’t going away, so you better get serious. Businesses have struggled for years to integrate digital marketing with traditional. Even successfully-launched digital marketing campaigns have difficulty in creating a seamless transition between old and new media. Digital advertising emerged on the scene and like all new things, had mixed levels of adoption. Traditional agencies have struggled with digital services, allowing for integrated agencies like OOHology to thrive. With unprecedented growth in the last few years, and with access to digital devices, NFC technology and online access growing seemingly exponentially, we can expect digital advertising spend to increase. The integration of traditional and digital media will be a must for an efficient and immersive marketing strategy in 2014 and beyond. Prediction: Expect NFC chips to go mainstream when Apple puts an NFC reader in the next iPhone. Moral of the story: Integration of digital and traditional is key to a successful marketing strategy. Rebellion and dissent have always been a part of the human experience, but it hasn’t always been accepted by the masses. This is the Information Age and access to technology via our laptops, TVs and mobile devices have empowered us to the greatest degree in history. Access to your audience has never been easier. Consider the music and publishing industries, giants just a few years ago, now losing money hand over fist due to self-publishing via content channels like blogs and YouTube. This empowerment has made the status quo seem vulnerable and people are taking advantage of this, making it easier than ever to buck the system, and this culture shift is translating into success for disruptive brands. With a veritable advertising onslaught on a daily basis in all media, people tend to block out the uninteresting and banal, which fortunately for agencies like us, is 99 percent of ad and branding campaigns. Moral of the story: It’s hip to be disruptive, and a rebel commands attention. Video is one of the most versatile of media and supports many of the important marketing trends of 2014. It can be utilized as the opening experience on a website, distributed via social media, sent by email, embedded in a NFC chip, featured at a presentation, conference or tradeshow and shared by your audience. It’s an integral part of an effective SEO plan, and a direct extension of your brand. And there’s a wide variety of approaches within the genre, from 3D animation, to a more whimsical style, to actual footage, or a combination of styles, depending on your audience and brand message. Video can be effective on an emotive level and is one of the most efficient and entertaining ways to send your message. Moral of the story: Video will be an integral part of your marketing strategy. Even at the end of 2013, we’re surrounded by bad design. I’m not just talking about what things look like, but how things work. Look around and you can easily identify something aesthetically displeasing or not-so-functional. Or both. In the digital world, programmers and computer scientists, generally a left-brained lot, were naturally the first on the scene. When designers arrived in the industry to pretty up their functionality, what they could affect was limited by graphic capabilities and bandwidth. Fortunately for us, that’s no longer the case. The best digital teams are now composed of programmers, designers, information architects and user-experience experts, and incorporate interface design that focus on the user, not just the result. Where once we strived to be functional, we now strive to deliver delight. And consumers have noticed and begun to realize that they no longer have to put up with bad design. A user-experience design movement has been around for decades, but expect 2014 to be the year that it finally takes center stage. Moral of the story: Why choose between form and function when you can have both? We’ve always preached that real, resonant brands stem from a company’s culture rather than being a self-applied facade. We expect this to be even more true in 2014 because application of a brand has never been more challenging. Content marketing, social media and review sites all have to be addressed in the brand voice and tone. As we’ve seem multiple times in 2013 and prior, brands can take a major hit with one thoughtless tweet. Access to information about a brand can be polarizing, creating disgruntled customers with an audience of thousands with a single bad review. Likewise, a delightful online transaction can create a brand ambassador that sings your praises throughout their online network. Employees are now a publicly accessed, direct extension of your brand. What will their posts say about your brand? This creates a huge opportunity to turn every employee into a lead-generating brand ambassador or a trash talking liability. Even former employees can have their opinion heard on new sites like Glassdoor. There is no doubt that this trend will continue in 2014 and companies that have a reputation management strategy in play will avoid the perils and get the spoils. Moral of the story: Manage your brand reputation or it will manage you. It seems like every time I ask someone about the differentiators, one of the answers is inevitably “service.” It’s one of those things every company claims to provide and very few actually do. Above I identified the only two ways to avoid commoditization, and providing high touch service is one of them. By high touch, I mean bending over backwards, going the extra mile, and most importantly, genuinely loving your clients. This is not an easily executable plan. It usually requires an internal shift from “How can I make money from my client?” to “How can I help my client?” It requires putting your client first. It requires anticipating their needs before they ask. It requires human interaction. We’ve come to rely on technology for everything from answering the phone and setting appointments to correspondence and wishing people “Happy Birthday.” Terry Boyd of Insider Louisville asked me what I thought was the future of technology and my response was “technology getting out of the way.” In 2014 I predict the return of an actual person answering the phone, handwritten notes, tactile media and face-to-face meetings. 2013 is coming to an end – along with my cigar and drink – and it’s clear that 2014 will be the year that forces brands to tear down the facade and get genuine with their audiences. 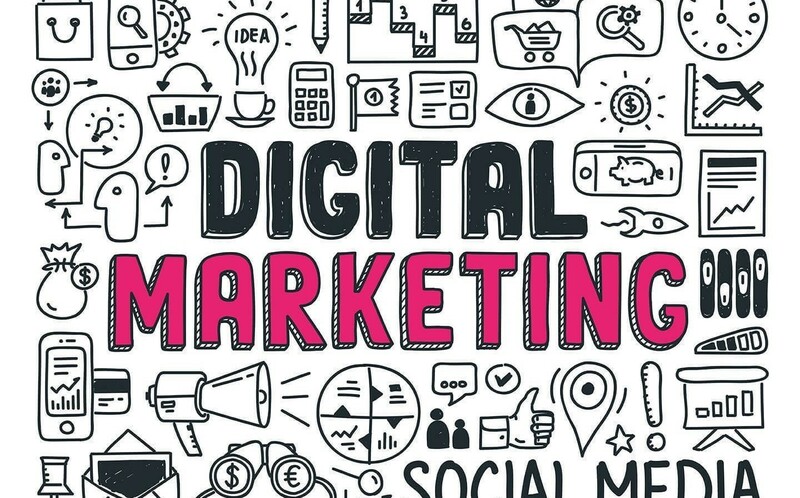 As the digital space commands more and more attention, this is the year companies must finally give in to the importance of digital marketing. Is your brand ready for 2014?